The grand jury will decide if the NASCAR driver will be charged in the death of Kevin Ward Jr. The decision whether to charge three-time NASCAR champion Tony Stewart in the August death of a fellow driver at a sprint car race in upstate New York will be up to a grand jury. Ontario County District Attorney Michael Tantillo said Tuesday he made the decision to present the case to a grand jury after reviewing evidence collected by sheriff’s investigators. Tantillo could have determined there was not enough evidence to support charges and dropped the case, but instead announced his decision more than a month after Stewart’s car struck and killed Kevin Ward Jr. at a dirt-track race on Aug. 9. “I look forward to this process being completed, and I will continue to provide my full cooperation,” he said. 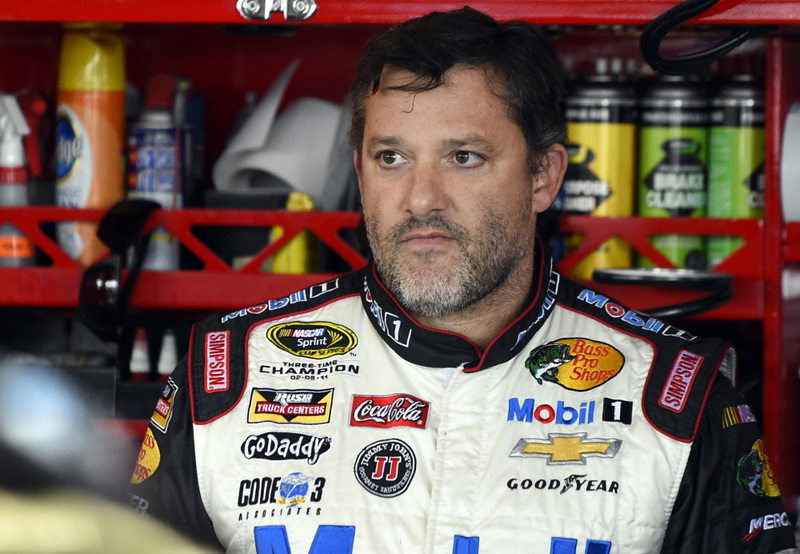 Stewart-Haas Racing said Stewart will race in Sunday’s NASCAR event at New Hampshire Motor Speedway. Stewart spent three weeks in seclusion before returning for the final two races of the Sprint Cup season. He did not make the Chase for the Sprint Cup championship field, and finished 18th in the first Chase race Sunday at Chicagoland. County Sheriff Philip Povero spent weeks investigating the accident at the small track in Canandaigua, several times saying investigators did not have any evidence to support criminal intent by Stewart. Ward had spun while racing alongside Stewart and then the 20-year-old climbed out of his car and walked down the track, waving his arms in an apparent attempt to confront the 43-year-old NASCAR veteran. He said the law prevented him from saying when the case would be scheduled or who would be called as witnesses. Experts have said Stewart could be charged with second-degree manslaughter under New York law if prosecutors believe he “recklessly caused the death of another person,” with negligent homicide another possibility. In submitting his findings to the district attorney last week, Povero said they included a “forensic video enhancement” from state police. After Ward’s death, NASCAR announced a rule that prohibits drivers from climbing out of a crashed or disabled vehicle — unless it is on fire — until safety personnel arrive. Stewart, who has 48 career Cup wins in 542 starts, is one of the biggest stars in the garage. From the small town of Columbus, Indiana, he has long been one of the most proficient drivers in racing, winning in every kind of series, from sprint cars to the elite Sprint Cup Series. He has for years taken part in little races in nondescript towns because he loves the thrill of the high horsepower, lightweight cars skidding around the dirt. NASCAR spokesman Brett Jewkes said the series was closely following the case. Over the weekend, the No. 13 car belonging to Ward returned to racing at the Canadian Sprint Car Nationals at Ohsweken Speedway in Ontario. The car was driven by Ward’s best friend, Dylan Swiernik, who finished 14th out of 30. Afterward, Ward’s father said he would sell the sprint car that his son drove.